Dublin is where the sleek modern architecture of “Silicon Docks” brushes shoulder with the 13th-century fortress of Dublin Castle. It’s where European headquarters for high-tech, high-powered companies like Google, Facebook and Airbnb share space in the same city that has been home to literary icons like James Joyce, Samuel Beckett and Oscar Wilde. ACD’s city campus is located across from Merrion Square, one of the many beautiful parks in Dublin’s historic and cultural area. The buildings of ACD are part of this history, all carefully restored Georgian structures. One of the buildings where you’ll have your classes was the childhood home of the famous Irish wit, poet, novelist and dramatist Oscar Wilde. So much to do in Dublin! Themed parties take place on the campus and in the city year round. 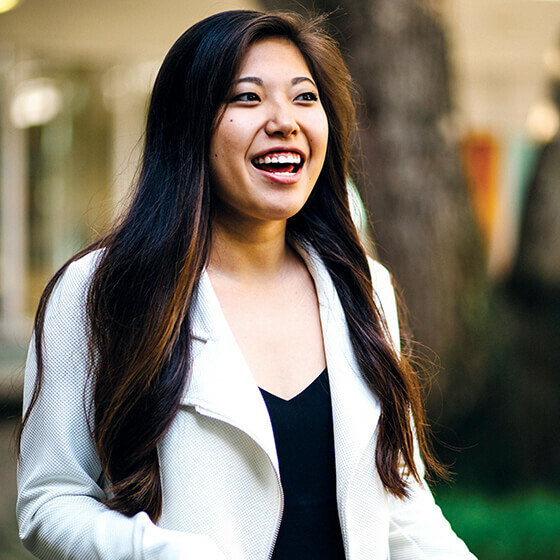 Don’t miss the Halloween Costume Night Out in the fall, the St. Patrick’s Day Dinner in the spring, and the Study Abroad Barbecue both fall and spring. Ready for some hurling? It’s an ancient Gaelic game that the Irish have been playing for even longer than they’ve been going to pubs—or at least, we think so (about 3,000 years). Head to the famous Croke Park stadium, where Ireland goes for sport. A literary pub crawl as only Dublin can do it, conducted by professional actors, is another way to get a taste of the pub culture. It’s one of several themed walking tours we can tell you about. Attention, Shopaholics: Conde Nast Traveler ranks Dublin number 5 in the world for good shopping. Dubliners use their weather to good advantage: it’s often a great excuse to call in at a pub for a pint. It’s how many a conversation is struck up among patrons and friendships are formed. After all, it’s how the Guinness World Records book got started. Yes, the same Guinness as the beer. Have a Dubliner tell you the story while you both enjoy one. 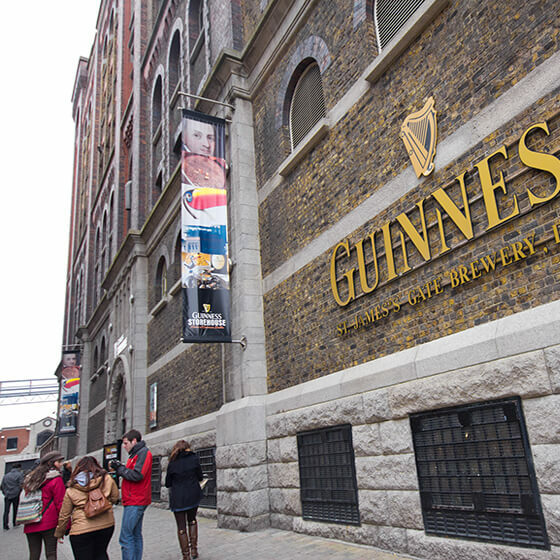 The Guinness Brewery has been in Dublin since 1759, and promises to be here when you come. The lease that Arthur Guinness signed was for 9,000 years. Yes, it rains in Dublin. But generally speaking, it doesn’t get overly cold in winter or overly hot in summer. The same warm currents that heat up those Spring Break spots in the U.S. find their way to Ireland’s western coast, helping to moderate the climate. Think Seattle, and you’ll be close. Pints & play. Dubliners love their pubs and their sporting events, and welcome you to both. The city itself is easy to navigate, with the River Liffey that bisects the city providing orientation. Give it a day or two, and Dublin will be yours. Friendly. Your residences are in the heart of a city famous for its friendliness. The Gaelic welcome of “Céad Míle Fáilte” (a hundred thousand welcomes) is on full display here. Pedestrian-friendly, too. 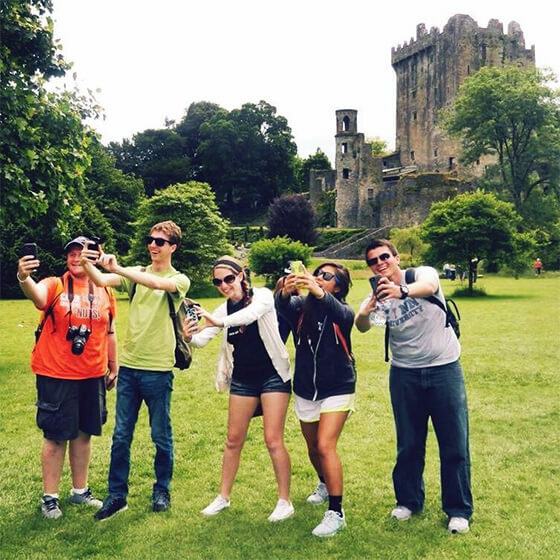 ACD’s classrooms and student accommodations, along with Dublin’s downtown, are all an easy walk from one another. Walking maps around the city show you 15-minute destinations. And be sure to take advantage of DublinBikes, a citywide bike-share service. Buses, trains and trams. When you want to venture farther afield, Dublin has trams, trains and buses that go where you want to. Smile, “Game of Thrones” lovers: a fun excursion can be to Northern Ireland, where the series is filmed. Want more cinematic thrills? Harry Potter fans should head to County Clare and County Kerry. Attention, Star Wars fans: Skellig Michael in County Kerry is where the Force awakened. Dublin is your ideal launch pad for exploring more of Ireland and the rest of Europe. Public transport will take you to the ferry terminals and to Dublin Airport, where low-cost carriers fly to England and the Continent. Ryanair, one of the best known, is based in Dublin. And remember, your semester has plenty of days blocked out so that you can use your time at ACD to experience more of the world.